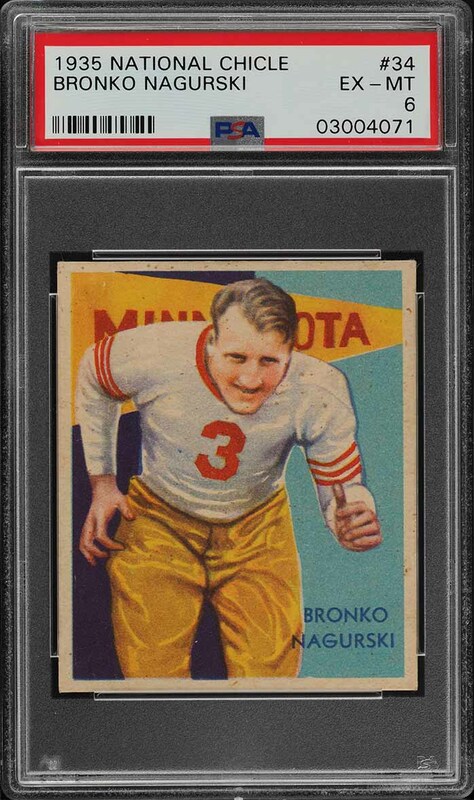 Largely regarded as the most important football card in the world and resides on the short list of immortal blue chip productions from all of trading cards. 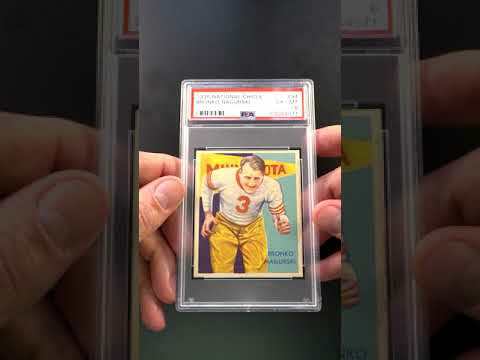 The 1935 National Chicle Nagurski rarely surfaces in grades higher than VG. 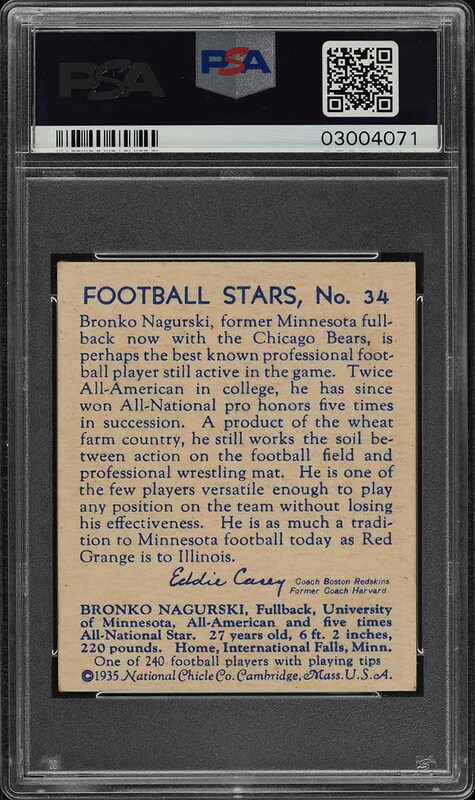 Easily the finest centered Nagurski we've brokered in our history and might be the best framed copy to ever sell publicly. Never does this issue come with this level of overall production quality and preservation. Upon close inspection we see modest wear to the periphery, most notably in the upper two corner regions, with NRMT to NM-MT qualities elsewhere. Wonderful print, color, and surfaces both front and back. All told this is a world class investment piece from the pre-war era; opportunities like these to acquire front-row assets are becoming exceedingly rare. Comes with our highest recommendation. One of nearly 15,000 cards, lots, and sets up for bid in our 4th Auction of 2019. Click on the link above to view the other PWCC auction lots. The PWCC Vault is now live! Open a PWCC Vault account and receive a custom Vault shipping address. Purchases shipped to the Vault receive free shipping and reflect Oregon's 0% sales tax rate.